This just in from a SearchITChannel.com spy. 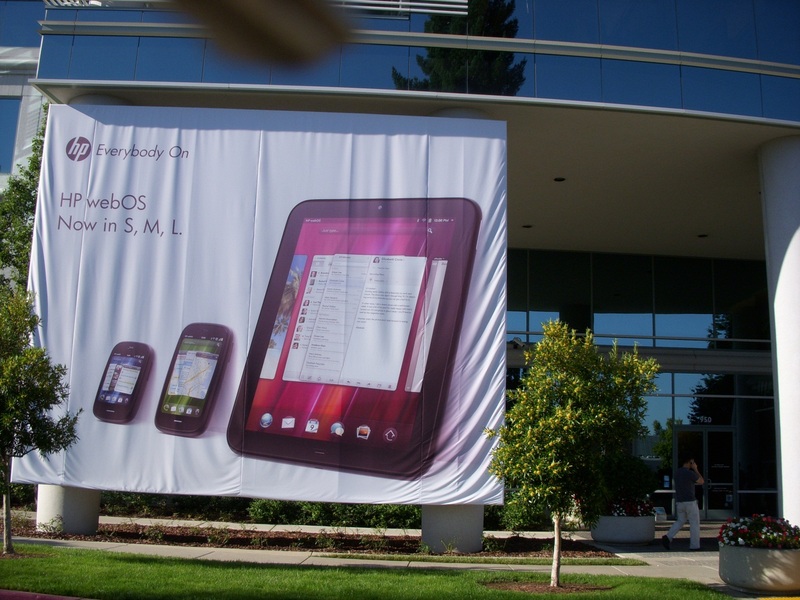 Yes, that’s a gigantic TouchPad banner hanging off HP headquarters as of Tuesday morning. Kind of eerie, ain’t it? Last week, most stores were well-stocked with HP TouchPads. But now that HP nuked its tablet business, TouchPads are selling like hot cakes at $99 each. Our eye witness saw 35 to 40 people (no badges so not HP employees) lined up at HP before 9 a.m. for the hot-selling-but-dead product. Is interest in the HP’s moribund TouchPad the ultimate irony, or is it a great – if unprofitable – guerilla marketing campaign from HP?